Sir Arthur Conan Doyle wrote of many dreadful murders, but the one which astonished and distressed readers the most was when the author, anxious to try something new, killed off Sherlock Holmes. Trapped in mortal combat with the dastardly Professor Moriarty, Holmes and his opponent plunged to their deaths in the Reichenbach Falls. For ten long years, Baker Street was without its most revered resident. 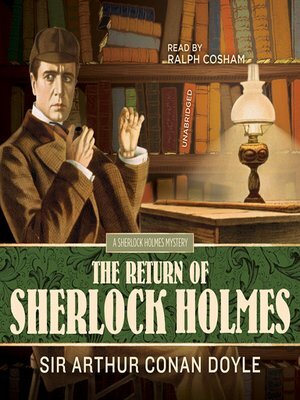 Then, in 1903, Doyle took pity on his readers and brought the sagacious sleuth back to life. The thirteen stories included in this masterful book tell of his return. Cases of mysterious codes, persecuted millionaires, stalkers, abductions, and a meeting with "the worst man in London" are all tackled with renewed vigor. But Holmes' old enemies are watching his every move.